KAIST researchers have discovered a technology that enhances the efficiency of Quantum Dot LEDs. 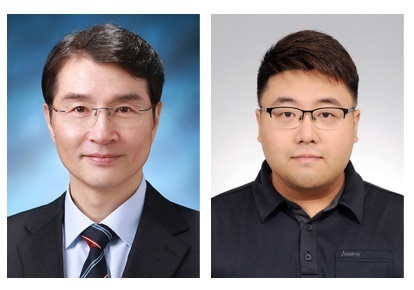 Professor Yong-Hoon Cho from the Department of Physics and his team succeeded in improving the efficiency of Quantum Dot (QD) Light-Emitting Diodes (LEDs) by designing metallic nanostructure substrates. QD LEDs possess very small semiconductor light sources and are considered to be the new rising technology for high performance full-color display. However, it is expensive to manufacture displays with QD LED only. Existing QD-based displays use blue LEDs as a source of light, and they employ a method of color conversion through excitation of green and red QDs. There are two inconveniences with the existing QD-based displays. As mentioned previously, QD LED is costly, hence the unit price of QD-based displays is higher. Also, the efficiency of a liquid type of QDs is drastically lowered after contact with air. Professor Cho found the solution in a metallic nanostructure for lowering the production cost while improving the efficiency of QD LEDs. The team exploited the phenomenon of so-called surface plasmonic resonances when nanoscale metallic structures are exposed to light. Depending on the metal, the size, and the shape, the properties of metallic structures vary. 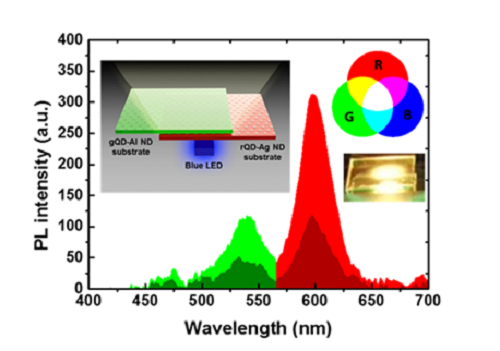 The team used different metallic nanostructures for each QD LED – silver nanodisks for Red QDs and aluminum nanodisks for Green GDs – to make them more fluorescent. With brighter QDs, it requires fewer QDs to manufacture QD LEDs, contributing to a lower unit price. The team used silver and aluminum in this research, but metallic nanostructures can be redesigned according to the desired purposes. 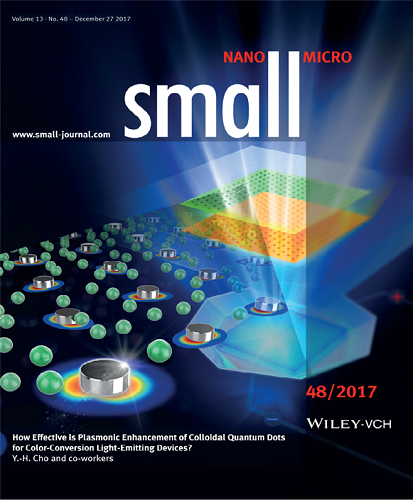 This research, led by PhD candidate Hyun Chul Park, was chosen as the cover of the international journal, Small, on December 27, 2017.